The International Day for Street Children is celebrated every year on the 12th of April since it was launched in 2011. Nearly all countries in the world have signed the United Nations Convention on the Rights of the Child. This means each country has an obligation to integrating children rights provisions into its national laws. However, the ratification of the Convention alone, is not enough to guarantee the end of child labour. For these reasons, Action for Development aims at developing a strategy to help street children in Afghanistan, especially those residing in Kabul and working in the street. We advocate on behalf of these children, and we stand for the recognition of their rights. 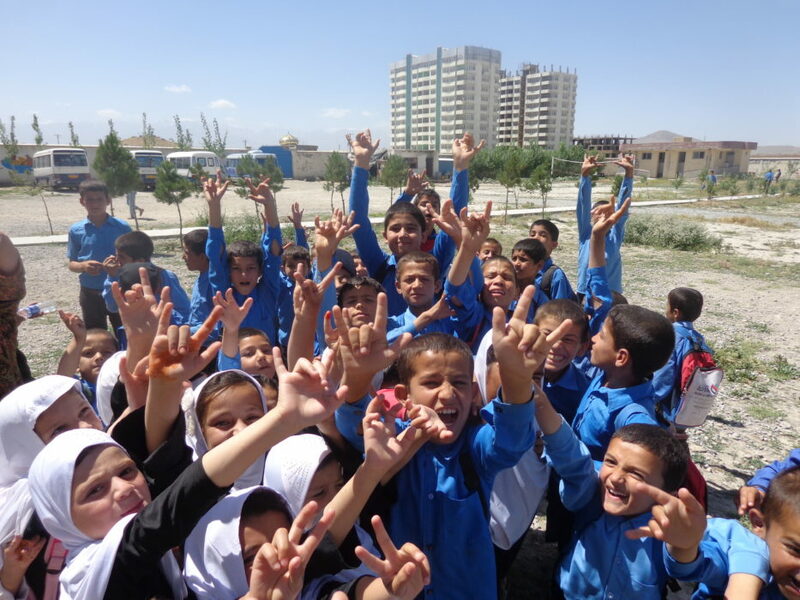 The main objective of our projects aimed towards the elimination of child labour, is through providing access to education to street children, by establishing school facilities in the Kabul area. « Street work is exhausting, stressful, painful and it can be dangerous for children. They are out on the streets all day, exposed to harsh weather conditions, high levels of noise and pollution, and are more vulnerable to being exploited and abused. Street children have no access to education and as a consequence they have little chance of building a stable and prosperous future for themselves. Moreover, schools are often the target of suicide attacks » argues Maria, responsible for Action for Development’s projects assisting street children in Afghanistan. In 2016 AfD founded a school dedicated to street working children; here they have the opportunity to learn numeracy and literacy skills, as well as practicing a sport, mainly football. The school also aims at helping these children re-integrate into regular public school programs at a later stage. As of today, we have established 3 locations where street children can attend classes. Due to decades of internal conflicts, Afghanistan remains one of the least developed countries in the world. Action for Development believes that access to education and equality are key to a brighter future. Much remains to be done, in order to support the people of Afghanistan. On this special day, the team at Action for Development stands in solidarity with the children of Afghanistan and continues its effort towards ending child labour and providing acess to education ; at the same time, we would like to thank our generous donors and partners, which are vital to the implementation of this project.